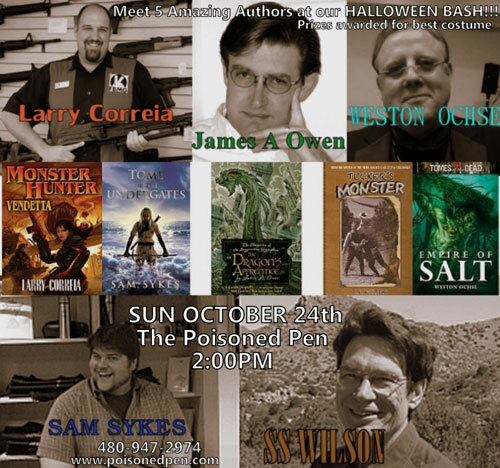 The Poisoned Pen in Scottsdale will be hosting a Halloween event this coming Sunday, October 24, featuring five authors and a Halloween Costume contest! James A. Owen (The Shadow Dragons, The Dragon's Apprentice), Larry Correia (Monster Hunter International, Monster Hunter Vendetta), Weston Ochse (Empire of Salt), Sam Sykes (Tome of the Undergates), and S.S. Wilson (Tucker's Monster) will all be there, signing for readers and enjoying the scifi-fantasy-horror party going on all around the store. 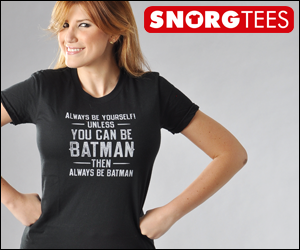 Wear your costume, and maybe you'll win a prize! The festivities start at 2pm, so make an afternoon outing out of the visit!